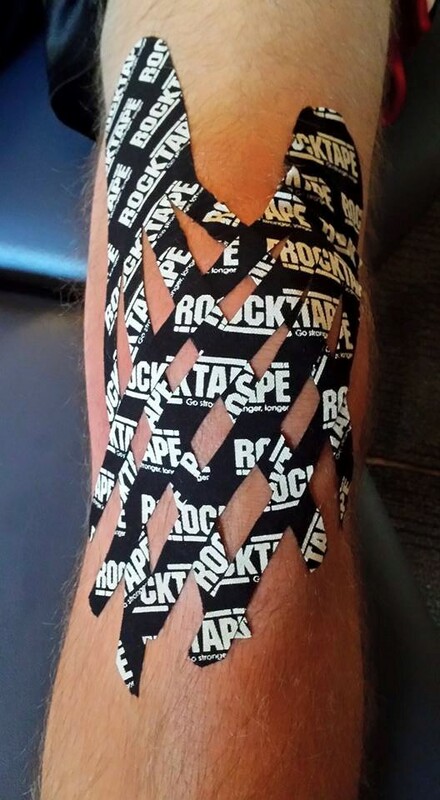 RockTape® is one the treatment tools we use frequently at Ohio Mobile Chiropractic. It is a brand of specialized tape called kinesiology tape, which is used to help reduce pain, swelling and muscle tightness. RockTape® also stabilizes joints, lessens fatigue and improves muscle function without limiting range of motion like other types of tape that restrict your movment. 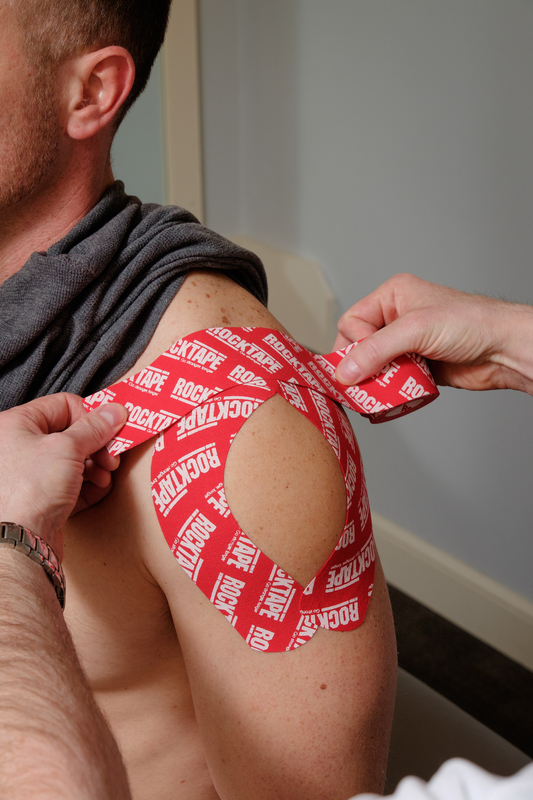 We can even use Rocktape® in conjuction with Rocksauce® or Rocksauce Chill® for maximum pain relief! It's a great complement to our approach to recovery. As we work to improve muscle function and movement patterns, RockTape® allows us to increase blood flow, heal damaged tissue and reduce pain by interfering with signals being sent to the brain. Restoring functional movement with NeuroKinetic Therapy and promoting tissue healing via RockTape® is a winning combination to help you get better faster.